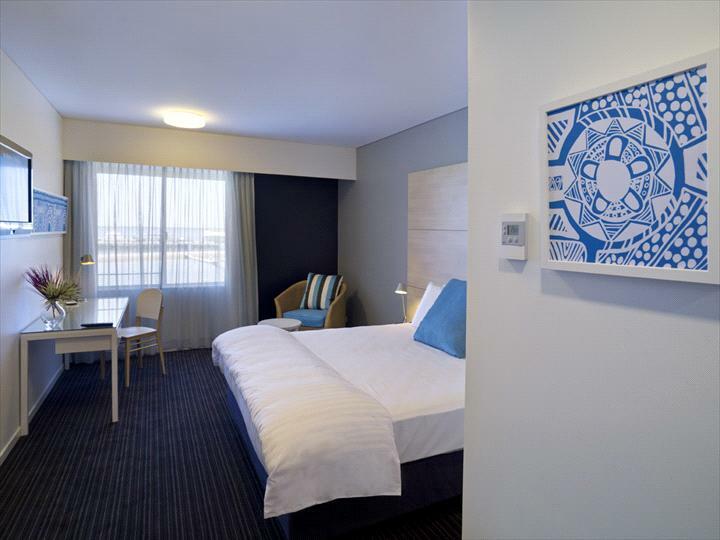 Vibe Hotel Darwin is the ideal haven for guests that want to trade in tradition for a fresh and vibrant accommodation alternative offering a contemporary edge and a whole lot of style. The Hotel is on the fringe of Darwin's CBD, the location of many fine eateries and bars. Reflecting the lifestyle of the guests, the rooms are stylish, the food is delicious and the location provides the best that Darwin has to offer. Curve cafe & bar attracts laid-back brunchers and lingering lunchers. You'll warm to the helpful service, refreshing menu & spirited atmosphere. Curve serves up simple and tasty breakfasts, an array of all-day dining treats and outstanding options from the dinner menu. Cancellations or changes to bookings are permitted until 1400 the day before arrival. After this the first nights accommodation will be charged. The Vibe Guest Rooms have fresh, stylish decor that matches the amazing surrounds of the property. Comfortable seating, and a large bathroom for that relaxing end of day soak!